LaLa Lunchbox, featured in various parenting magazines and websites, a best-selling meal planning app for kids and parents. Busy moms can testify to the fact that mornings can be tough. Getting kids ready for school, and packing lunches, especially for multiple kids, can be stressful. Enter LaLa Lunchbox, featured in various parenting magazines and websites, a best-selling meal planning app for kids and parents. 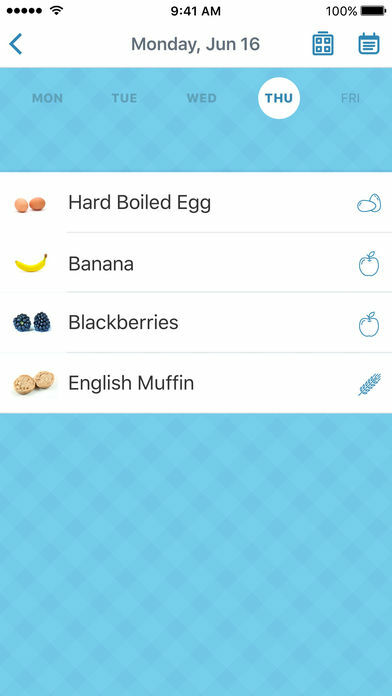 What's great about the app is that “it takes the stress out of lunch planning for families, and empowers kids with their meal decisions. Kids select foods for their meals with fun monsters, colors and sounds (and a completely customizable Food Library) and those choices turn into a handy grocery list for parents.” It's also a great way to involve picky eaters in the process, because when they are involved in the decision process, they tend to eat what they choose. That means less waste, plus time and money saved! 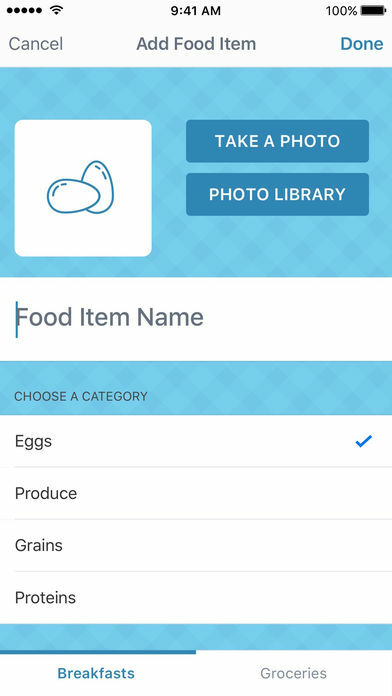 Among the key features of the app are “an extensive, completely customizable library of fruits, veggies, proteins, and snacks”; “an always updated, easy-to-use grocery shopping list”; easily saved meals to the library of favorites; and the ability to sync everything on multiple iOS devices with just one click. EMPOWER KIDS - They'll love planning their own breakfasts. 1. Monsters and breakfast plates can be customized by kids. 2. 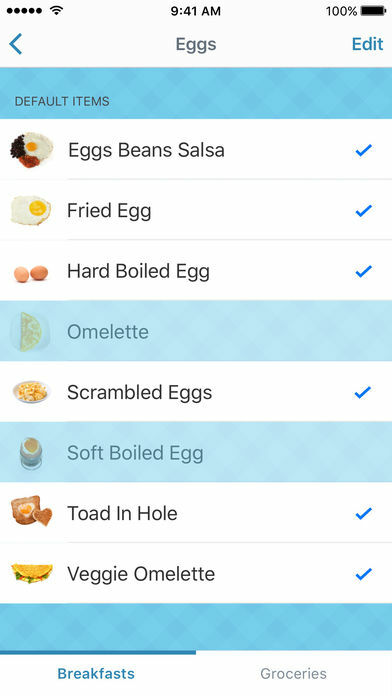 Includes an extensive, completely customizable Food Library of eggs, produce, grains, and proteins. 3. Easily save any meal to a library of favorites. 4. One click sync between multiple iOS devices, and between LaLa Breakfast and LaLa Lunchbox. 5. Parental control over food choices and breakfast sizes. 6. Always updated, easy-to-use grocery shopping list. 7. Easily share favorite meals with friends via Twitter, Facebook, and email to keep ideas fresh. LaLa Breakfast was created by an MBA mom and healthcare professional who was looking for a solution that would make planning breakfast for her children on hectic weekday mornings easier. 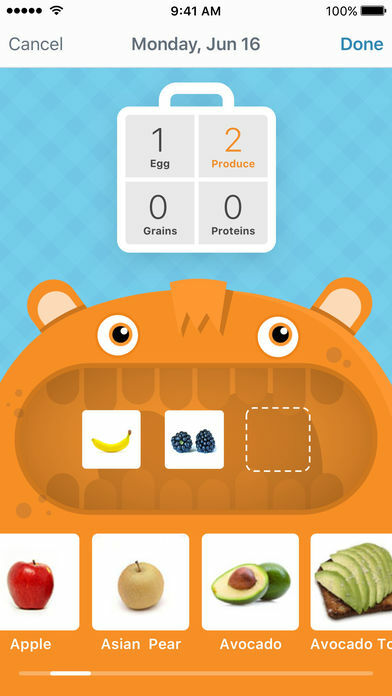 It teaches children about smart food choices and helps picky eaters broaden their horizons.